MINI makes it easy to reflect your style thanks to the hundreds of accessories it offers. 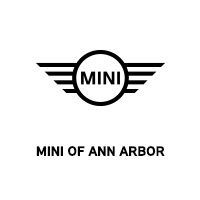 Whether you want to add another powerful touch or you’ve just begun designing your new MINI, MINI has motoring technology, performance parts, design pieces, custom graphics and more. Make a statement with exterior accessories for your MINI. By adding sport stripes or checkered flag mirror caps and side scuttles, you can easily reflect your racy side. And to enhance performance add a roof spoiler to help keep drag from eating away your performance and driving lamps to light the way. Interior accessories can help reflect your own personal style. A leather steering wheel will put racetrack performance in the palm of your hand and a checkered flag dashboard will remind you the finish line is always in sight. And no matter where your MINI takes you, a rubber boot mat and all-weather floor mats are the perfect accessories to help protect your vehicle from dirt, sand or snow. Not only enhance your MINI performance but make people turn heads with MINI wheels. Grip the road ahead with 17-inch Cross Spoke Composite Light Alloy Wheel Black, 17-inch Black Star Bullet Light Alloy Wheel, 17-inch Multi Spoke Wheel Black and much more. If you are truly race-minded, you will love these upgrades. The strut brace will enhance cornering stability, the cross drilled and slotted rotors enables maximum performance and the sport suspension lowers your ride’s height, MINImizing weight transfer for more aggressive handling. And the Alcantara leather steering wheel will give you the racetrack performance feel. These rack systems make traveling easier than ever. Whether you want to hit the waves or ski slopes or need a little extra space for a weekend get-a-away, there’s a rack system for any adventure. Stay connected with the latest technology accessories for your MINI. The MINI portable navigation holder is the perfect home for your navigation device. At the touch of a button, hear commercial-free music, sports, news and more with SiriusXM® Radio. And the daytime running lights will not only increase your visibility but your style as well. You’ve established your presence on the road now it’s time to show it through your style. Whether it’s a MINI mesh cap and MINI street hoodie for those casual days or a MINI by Puma® work bag and MINI by Puma® holdall bag for those business trips, there’s a lifestyle accessory for everyone.